Our team of industry specialists provides high quality abrasive products specific for your application whether manufacturing, maintenance or repair. 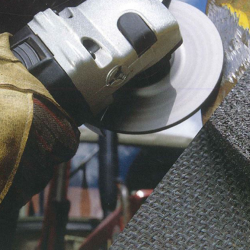 Abrasiflex is an industry leading supplier of industrial abrasives. We specialise in the distribution and sale of an extensive product range for the wholesale, trade and retail sectors. 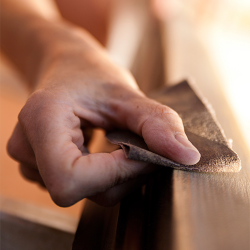 A selection of bonded and coated products are available which complement our own brand of bonded abrasives. Delivering exceptional quality continues to be one of the key principles that drives our company. We work with leading manufacturers around the world including DEERFOS, 3M, PanBlast and Bibielle. Our extensive operating network throughout Australia and South-East Asia enables “off the shelf” deliveries of our complete range of industrial abrasive products. Our growth into one of the leading suppliers of industrial abrasives is largely attributed to our implementation of quality control procedures. We continue to focus on key principles and values to better serve all customer requirements. Our products include a selection of standard and custom made cutting and grinding wheels, belts, sanding discs, sheets, and rolls. 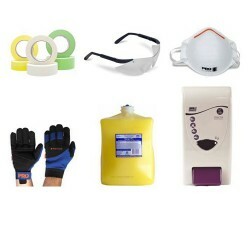 We also offer workshop safety equipment, air tools, and hand cleaning products. We are the exclusive Australian agent for all PanBlast abrasive blasting equipment and distribute all associated media used in this process. Requirements vary for every application. 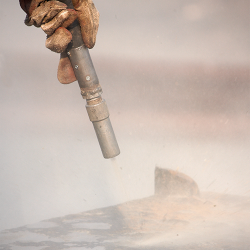 Our capabilities extend to custom manufacturing of abrasive products in our local facilities. This allows us to deliver solutions for applications across all industrial markets, resulting in enhanced productivity. As leading specialists in the industry, we employ respected and proficient people committed to providing recommended applications and assistance in regards to operational issues. We have warehouses situated in Brisbane, Sydney, Melbourne, Perth, and Adelaide for the supply of industrial abrasive products. Contact our staff for sales and other product related enquiries. Details can be found on our contact page. Our team is here to provide assistance and to help in any way we can.